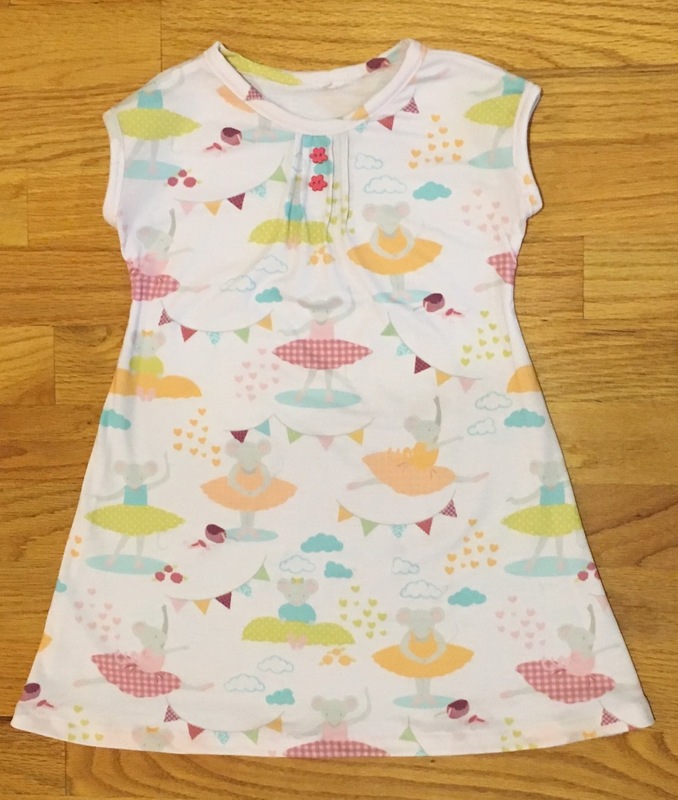 This is the Swing Dress from the book, Little One-Yard Wonders by Rebecca Yaker and Patricia Hoskins which I reviewed a few weeks ago. The adorable mouse ballerina fabric is "Pas de Souris" designed by Katherine Lenius and is available from Spoonflower.com. I chose the cotton spandex jersey which has just the right amount of stretch. I sewed the dress using the #9 stretch stitch on my Bernina 440 sewing machine so that the dress can be pulled on over a child's head without popping any stitches. I think this one is going to be a favorite of it's new owner. (Shhh...it's a birthday present)!